An instant New York Times bestseller! 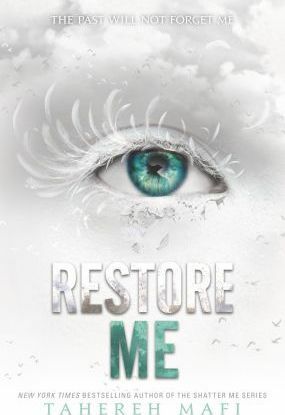 Juliette and Warner's story continues in the electrifying fourth installment of Tahereh Mafi's bestselling Shatter Me series. The girl with the power to kill with a single touch now has the world in the palm of her hand. Juliette Ferrars thought she'd won. She took over Sector 45, was named the new Supreme Commander of North America, and now has Warner by her side. But when tragedy strikes, she must confront the darkness that dwells both around and inside her. It's been sixteen days since Juliette Ferrars killed the supreme commander of North America and took over as ruler of The Reestablishment on the continent. Sixteen days since she assassinated Warner's father. Juliette thought she'd won. She took over Sector 45 and now has Warner by her side. But she's still the girl with the ability to kill with a single touch--and with so much power in her young hands, the world is watching her every move, waiting to see what happens next.